We tend not to pay much attention to garage doors until they break. They look simple from the outside but they use a complex system of pulleys and rollers to enable the door to lift upwards. These parts work in perfect harmony with one another; if a component malfunctions, the resulting discomfort can be a real hamper your busy day. Garage doors are not toys and should not be played around with. The components work under stress and can cause injuries when not adhering to safety instructions. The most important part of safe garage door operation is observation. Whenever you operate the door make sure that there is nothing under the door or anything that could block it from closing. Also observe any odd movements from the door when operating. Catching problems early might just save you money and keep the door from falling on your car. When you’ve parked your car, moved the boxes or finished your tasks in your garage, remember to close the door. Leaving the door open unnecessarily places tension and wear on the doors components. This is why it’s recommended to close the door when finished, not only to reduce the risk of your possessions getting stolen but also to increase component lifetime. Maintaining your garage door is critical for safe and smooth door operation; regular checkups will increase component lifetime and ensure integrity. Maintenance consists of cleaning, lubricating and ensuring all bolts are fastened. Alternatively, you can always contact garage door repair company in Woodinville to perform maintenance on a regular basis. For quick, reliable, same-day garage door repairs, maintenance and installations, think first of our honest, reliable technicians for the finest and most affordable services in town. Read more about our company and all of our services here on this About us page. Our technician will contact you before arriving. Until then, feel free to browse our website! 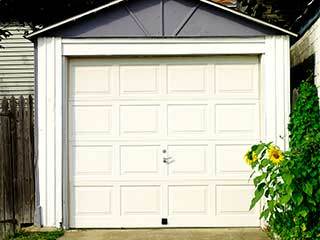 Garage Door Repair Woodinville is at your service!